Tuesday and Wednesday I was home with the girls (Mike was also home Tuesday), as they had two snow days from school. 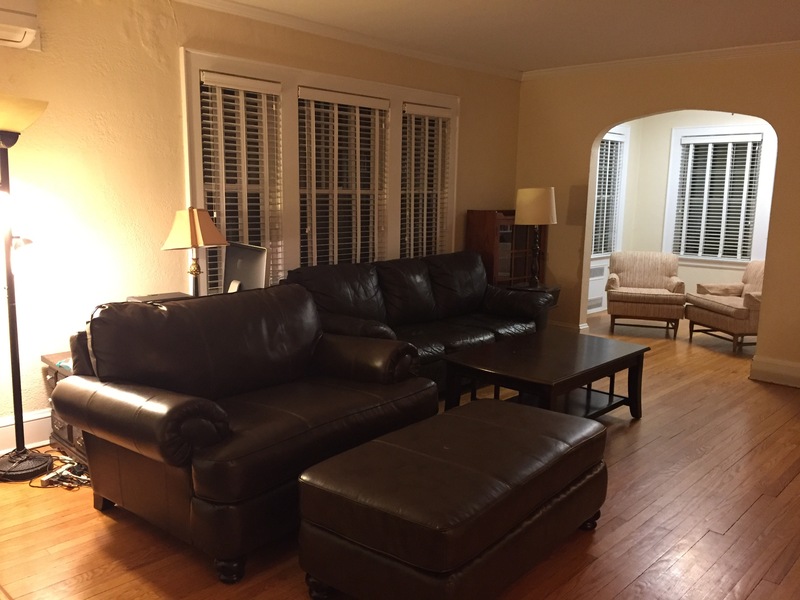 We continued to make progress here in the Blaine house, although in some ways, it felt like we’d gone backwards. That’s because we decided to empty our attic before the third floor stairwell got painted. 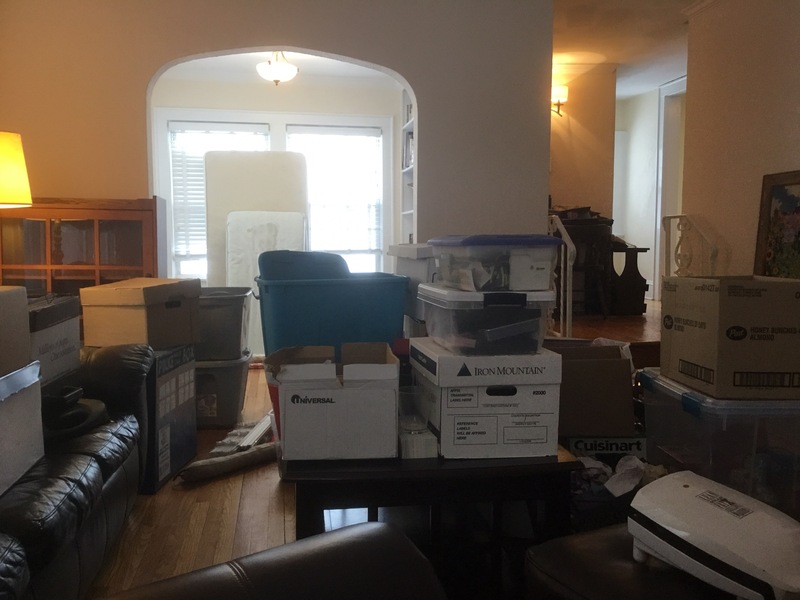 We emptied our attic into our living room, with the library as the holding room for stuff to be sold (it was too snowy to bring anything out to the garage or the POD). Tax returns dating back to the days when I could file a 1040EZ. Genealogical research my mom collected at some unspecified point in time, but apparently far enough back in time that it includes photocopies made from microfiche. My mom’s high school yearbooks. The RSVP cards from our wedding. AND EVEN MORE GREETING CARDS. The 6th grade Profiles in Courage class book we made after reading JFK’s Profiles in Courage and then researching inspiring famous people and writing our own profiles of them. And holy moly, but EVERYTHING seems to have my full, unredacted Social Security Number emblazoned on it. 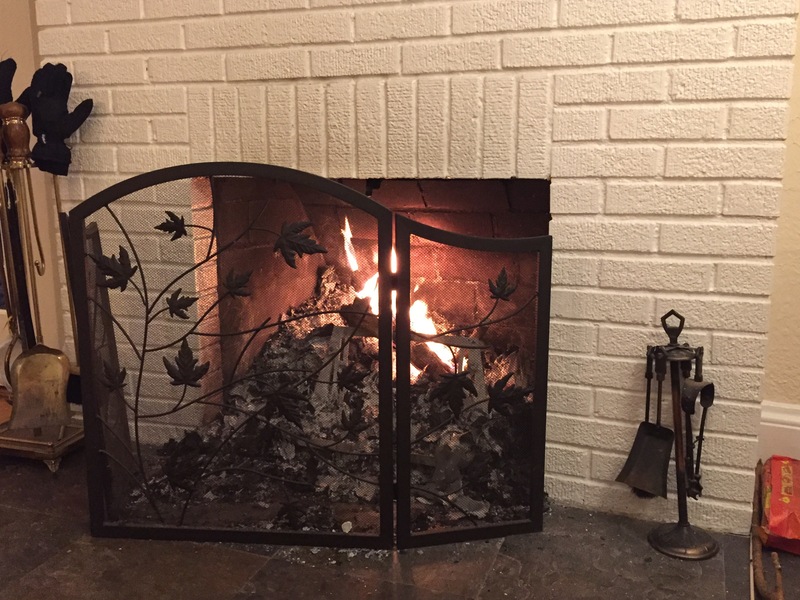 So we made a fire. And burned lots and lots of papers covered in our Social Security Numbers and other personal information. After all, it was a cold and snowy day. We will be making another fire tonight. There are another bin and a half (at least, Mike’s not done going through his) worth of sensitive information stuff to be burnt. Maybe this time we will make s’mores as well. 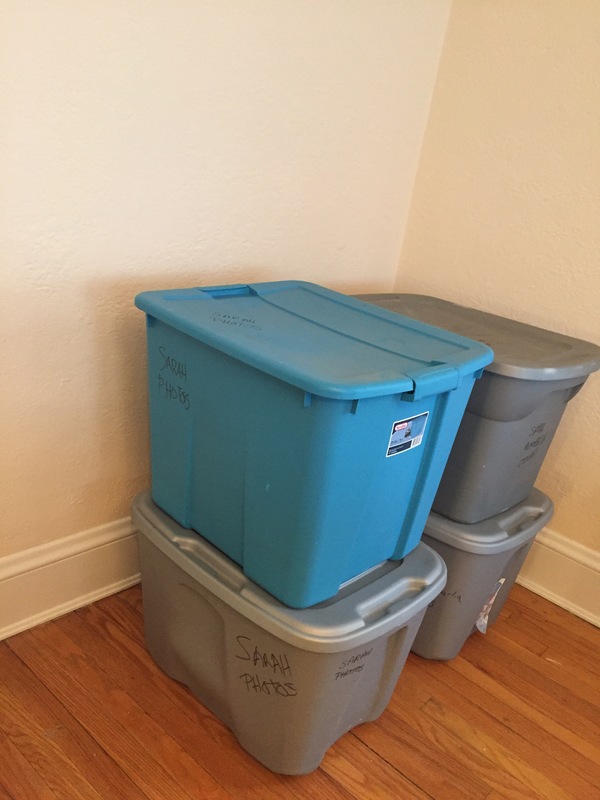 I have consolidated something like 15 bins of my crap down to four bins: two bins full of photos and photo albums, one bin full of paper memorabilia, and one bin full of tchotchke-type memorabilia. The paper and tchotchke bins will go into the POD. My best friend will store the photos for me, as I’m worried about high temperatures in the POD destroying decades’ worth of family photos. Coincidentally, an acquaintance of mine posted on Facebook asking about the choices people make about storing photos and memorabilia now that we are in the digital age. Do we scan everything? If so, what happens to it as technology changes? In sorting through my stuff, I came across tons of family movies on VHS, which I can’t play as I no longer have a VHS player. I came across 100M Zip disks and old floppy disks and even a mini-sized CDROM. I also came across virtually illegible faxes that had been printed on thermal paper, and some fading, stuck together, and otherwise unsalvageable photos (although thankfully only a few). I also came across lots of memories. 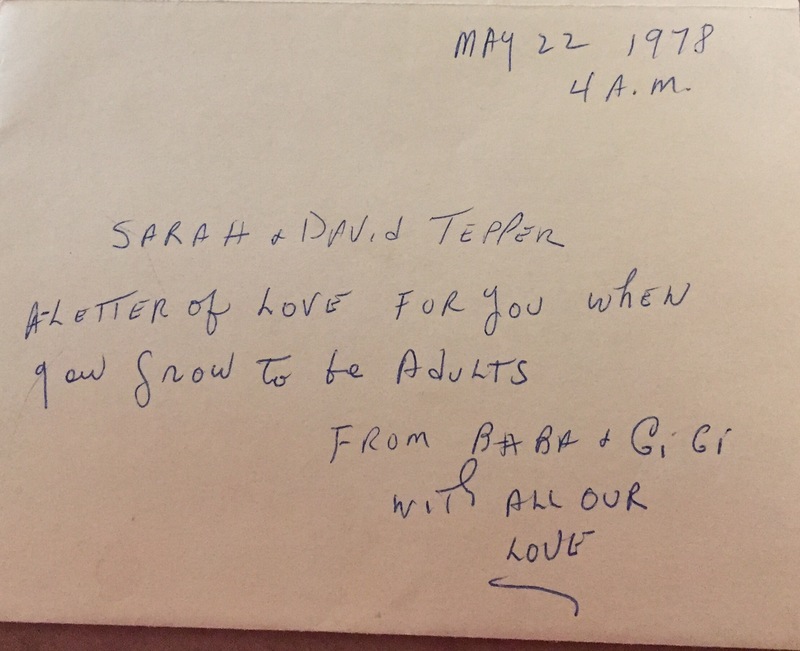 I found a letter from my father’s parents written to my brother and me shortly after my mother’s father had died, in which they expressed their hopes for us as grown ups. 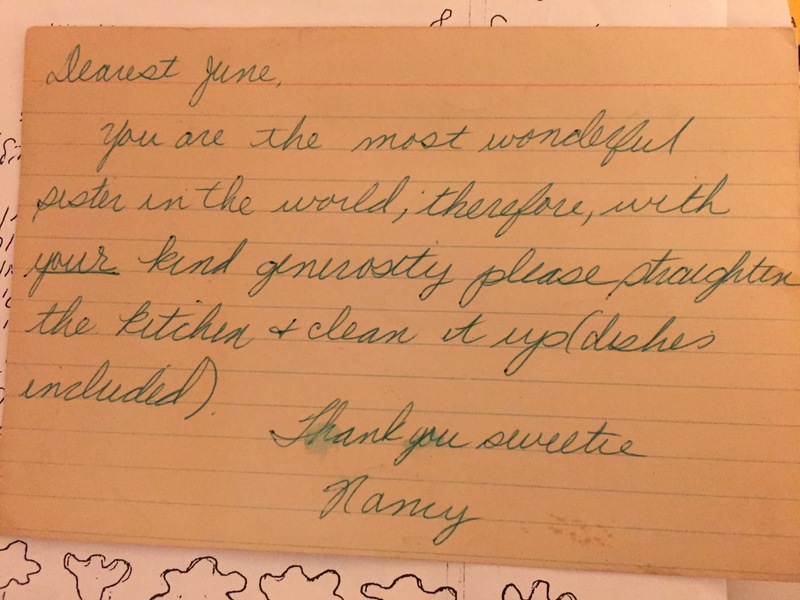 I came across a note from my Aunt Nancy to my mother, obviously written at some point when they still lived under my grandparents’ roof. 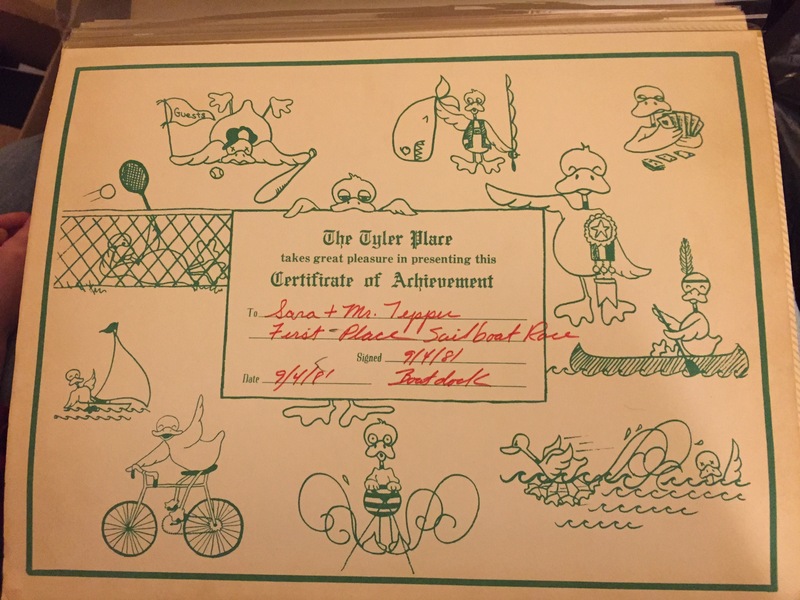 I came across a 1981 award for winning a sailing competition at the greatest place on earth for families with children (and no it has nothing to do with Disney), which I still take my kids to every summer. And of course, endless artwork. 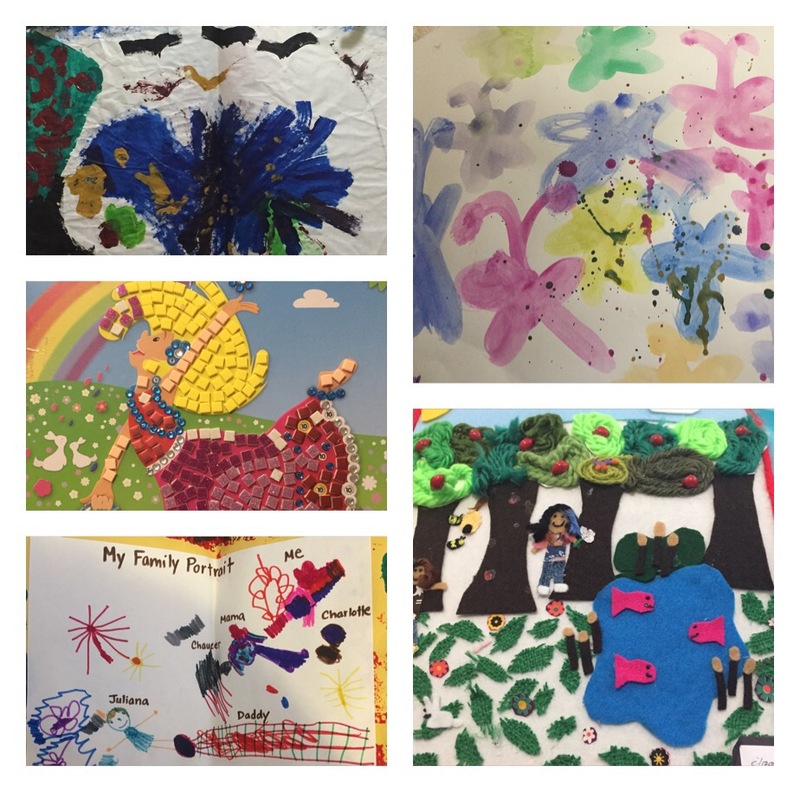 Children’s artwork. Artwork on top of artwork on top of artwork. In this digital age, how do we preserve our memories? Because as I re-discovered again this week, objects and photos and artwork and paperwork all do trigger memories, some of which I’d left behind decades ago. How do we preserve memories, tell stories, and connect the past to the future in a visceral, immediate way? How do we help our children to see that they are links in a larger story — of a family, of a community, of a nation? I have old photos passed down from grandparents and great-grandparents, and in some of those photos, I have no idea who the people are. The best I can come up with is that we write our stories and we illustrate our stories and we do our best not to leave the past behind, even as we embrace the future with open arms. In the current political and cultural environment, it seems more important than ever to remember our past and our history. One challenge we will be grappling with as a family this year is how to make sure that our kids begin to embrace their roles as curators of family, community, state, national, and international history. How do you embrace these challenges?